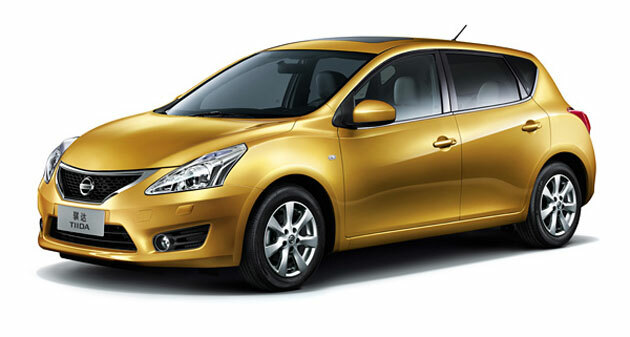 Here are photos of the next generation Nissan Versa, which were released at the Shanghai Motor Show. These are actually photos of the Asian-market Nissan Tiida , but the Versa should look the same. I see a bit of Nissan Leaf styling here. According to Autoblog, the car will have 108 horsepower and be mated to a CVT. They said EPA ratings should be around 28 city, 34 highway. 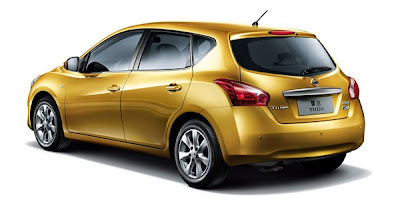 They also mention the word "turbo," and since Nissan already has the turbo mill in the Juke, perhaps that could happen. I'm not very fond of the new Tiida/Versa's styling, and 24 city MPG isn't terribly impressive. I am looking forward to hearing more specs so as to better judge the size of the vehicle. How much more has it grown (or shrank)? Will the USDM get the 108 hp mill, or will it get more power, like the current Versa? We'll see. The Versa has been a strong subcompact seller, so it will be interesting to see how this model pans out in the U.S. Also, will there be a sedan variant? Honestly, I'm a bit surprised they can't eek out a better MPG. It's the exact same as the current model. I mean, I guess it's good it's not WORSE (that we know of)... but you think the engine tech from Nissan would have improved enough that they could have put a more fuel efficient engine in the new model. The styling is OK. I'd have to see it in person first before I could decide. PS: Why is there no edit button for comments in Blogger? Jeesh! Lol! Yes, 28/34 and 108hp just doesn't cut it these days; it's in non-SFE Focus and Cobalt territory. Plus, if you look at the new Hyundai/Kia offerings, you'll see they're getting 30/40 MPG.